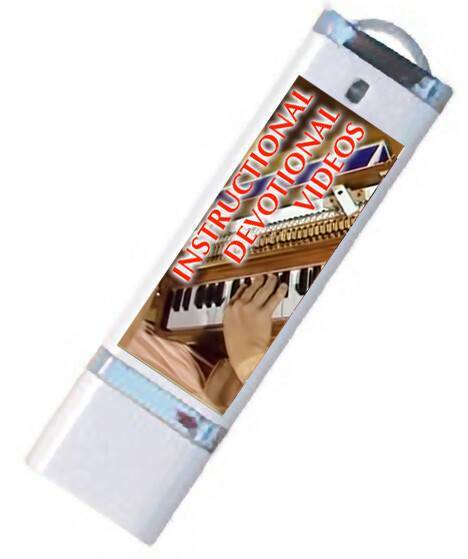 USB Stick containing a large collection of practical devotional instructional videos. Includes mrdanga and kartal lessons, Kurma's "Cooking for Krishna" television cooking lesson shows, Vaisesika Prabhu's Book Distribution Seminar series and other book distribution instructional videos. Contains many programs to inspire and empower devotees to distribute Srila Prabhupada's books, includes: 'Book Distribution at O'Hare Airport', 'Brilliant as the Sun', 'Distribute Books Automatically with a Smart Box', 'Interviews with Full Set Customers', 'The Nectar of Sankirtan (USA)', 'Ocean of Mercy (Europe)' and Vaisesika Prabhu's 'Book Distribution Seminar' series. Almost 40 television cooking shows with the famous Hare Krishna cook, Kurma das. This is three seasons of a television series. In the first 13 episode series Kurma das instructs us how to expertly prepare all the traditional prasadam items introduced by Srila Prabhupada. In the remaining two seasons he still shows us how to cook many more traditional Vedic dishes and in addition he cooks many vegetarian dishes inspired by the cuisines from other countries. Videos teaching us to expertly play the full range of traditional Vaisnava devotional instruments. Includes Mridanga Lessons, Visnujana Harmonium Melodies with Sunanda das, Harmonium Lessons with Vaiyasaki das and Kartal Lessons with Nityananda Prana and Krishna Kirtan.